Since the arrival of Windows 10, many people are getting a taste of what the newest next version of operating system looks like. In most cases their experiences are good ones. However some users have run into problems. In the worst of situations, they lost all or some of their important data after accidently deleted Windows 10 partition. Of course, this problem is not a big deal and can be fixed easily. With the help of Tenorshare Any Data Recovery, a top of the line product to restore lost photos, videos, documents and more from lost or deleted Windows 10 partition effectively, it will come as a relief to you. How to Recover Files from Lost or Deleted Windows 10 Partition? Are you facing with how to recover data from lost or deleted Windows 10 partition case? Here Any Data Recovery Pro will offer you the most reliable solution to deal with it. Before you start, please make sure you have downloaded and installed the program. Step1. After run the program, you will be asked to select one type such as Audio, Video or other you want to restore and click on "Next" to move on. Step2. Here you are supposed to choose a location and click "Scan" to view lost files. The location can be the Desktop, My Document or other. Step3. In this step, you can preview all scanned files by path or time. 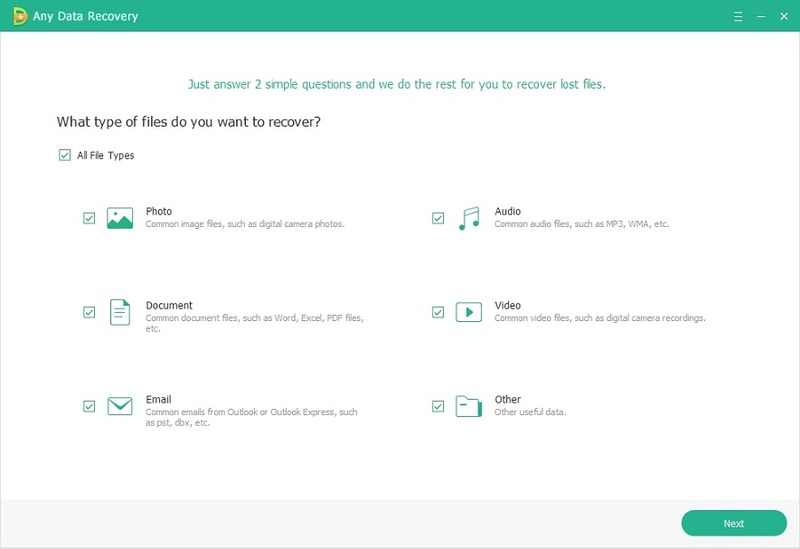 Then you can tick the data you want to recover and click "Recover". Then choose a location to save the recovered files properly. Tips:Do not preserve the data to the place where your data lost in case of being rewritten. 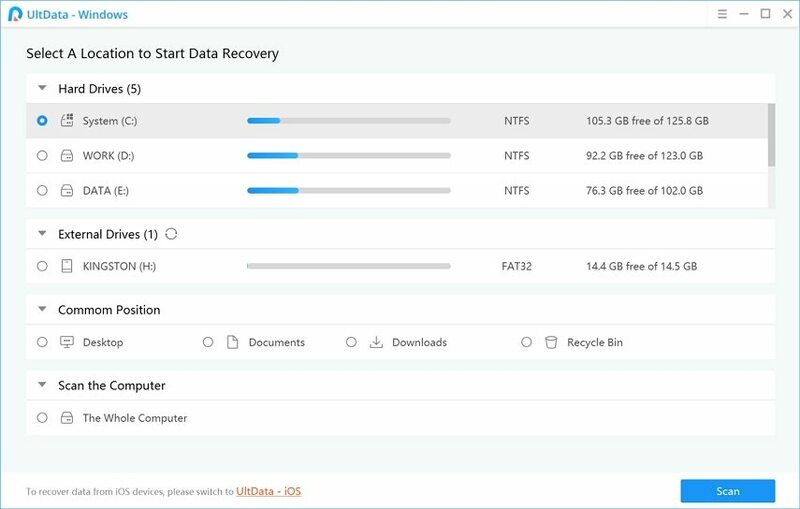 Now you can be your own data saver and solve other complex data loss cases like how to recover lost partition Windows 10 by using this powerful software. Other same cases including how to Get Formatted Data Back on Windows10 can also be solved on your own directly with no efforts. Actually backing up your important files anytime will be a solid solution in case of data loss. Here we will take an example for you to perform an image backup in your Windows 10/8.1. How to Perform an Image Backup with Hard Disk on Windows 10/8.1? 1.Right click the Start button and run the Control Panel. 2.Click File History and get into File History. Then click System Image Backup link in the buttom left corner of the screen. 3.Connect an external USB hard drive with enough free space. 4.In the backup wizard, you will be asked to choose from one of the three options to save the backup. Here you are supposed to click "On a hard disk". Then click the "Next" to move on. 5.Finally you just need to confirm and begin the process by clicking Start backup. Hope this article can help you much. If you have any question, don't hesitate to leave your comments in the comment section so that we can make progress.